This contribution presents a derivation of the steady-state distribution of velocities and distances of driven particles on a onedimensional periodic ring, using a Fokker-Planck formalism. We will compare two different situations: (i) symmetrical interaction forces fulfilling Newton’s law of “actio = reactio” and (ii) asymmetric, forwardly directed interactions as, for example in vehicular traffic. 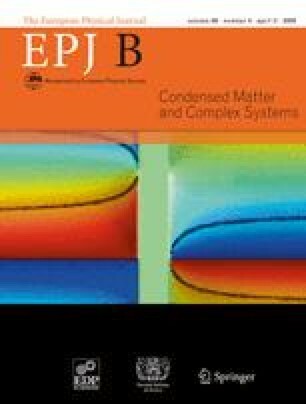 Surprisingly, the steady-state velocity and distance distributions for asymmetric interactions and driving terms agree with the equilibrium distributions of classical many-particle systems with symmetrical interactions, if the system is large enough. This analytical result is confirmed by computer simulations and establishes the possibility of approximating the steady state statistics in driven many-particle systems by Hamiltonian systems. Our finding is also useful to understand the various departure time distributions of queueing systems as a possible effect of interactions among the elements in the respective queue [Physica A 363, 62 (2006)].